704 Games has officially announced NASCAR Heat 3 coming September 7, 2018 to PS4, XB1, and PC retailing for $49.99. As part of the announcement, the first feature reveal for the game came via the reveal trailer and product website. Among the new features and improvements coming to the game are: the Xtreme Dirt Tour, Esports tournaments, eight new tracks, deeper career mode, stories, and gameplay improvements. Some of the new tracks listed include dirt-racing at Bristol Motor Speedway, the final Charlotte Motor Speedway ROVAL layout, and the overhauled ISM Raceway. Each copy of the game will come with a $50 race-ticket coupon, essentially making the game free for those planning to attend a race. The second developer diary from 704games discusses some of the improvements coming to Career Mode in NASCAR Heat 2. New to the title will be Rivalries. Should you drive aggressive enough or upset certain drivers enough, they may become your rival and in turn, drive more aggressively against you in races making competing more difficult. 704Games has announced that NASCAR Heat 2 will retail for $49.99 ($10 less than standard retail titles) and pre-orders will begin on Monday, July 10. NASCAR Heat 2 will be released on September 12, 2017. 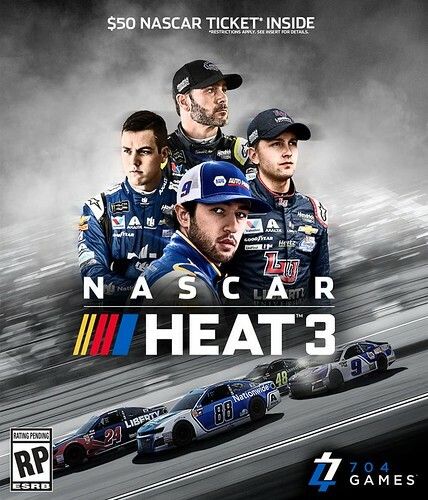 In addition, NASCAR Heat 2 will come with a coupon for $50 off the ticket price at any Monster Energy NASCAR Cup Series, NASCAR XFINITY Series, or NASCAR Camping World Truck Series race at Atlanta Motor Speedway, Bristol Motor Speedway, Charlotte Motor Speedway, Kentucky Speedway, Las Vegas Motor Speedway, New Hampshire Motor Speedway, Sonoma Raceway or Texas Motor Speedway. These two moves may be 704Games' attempt to help the title stand out and succeed in a crowded fall sports line-up consisting of Madden NFL 18 (8/22), Everybody's Golf (8/29), NBA 2K18 (9/15), FIFA 18 (9/29), Forza 7 (9/29), WWE 2K18 (10/17), and NBA LIVE 18 (TBA). Today, 704Games officially announced NASCAR Heat 2, coming September 12 to PS4, XB1, and PC. According to the official press release, here re the first details regarding the game: "NASCAR Heat 2 builds on the core experience of its predecessor, NASCAR Heat Evolution, with advancements from returning developer Monster Games. 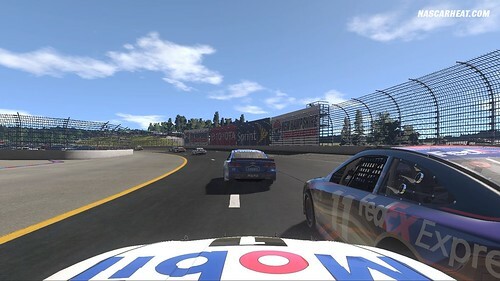 These improvements include enhanced online multiplayer, a deeper career mode, track updates, additional drivers and other features in line with the 2017 NASCAR-sanctioned national series formats." 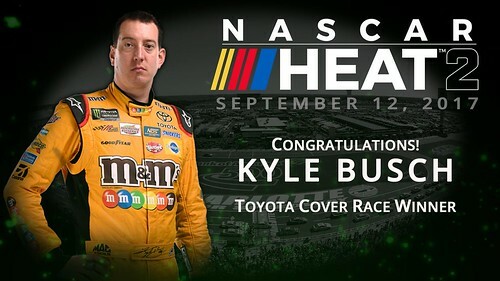 Through Friday, May 19 fans can vote for the two finalists to grace the cover of the game among these four contenders: Matt Kenseth, Kyle Busch, Denny Hamlin, and Martin Truex Jr. The cover athlete will then be the driver between the top two vote-getters who has the better finish at Stage 2 at the Monster Energy All-Star Race on May 20. 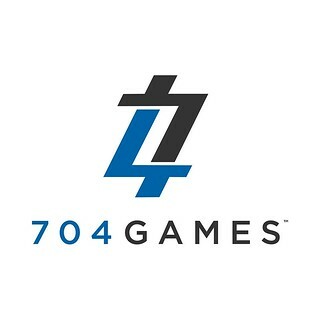 NASCAR Heat Evolution developer & publisher Dusenberry Martin Racing has announced that it is rebranding to 704Games. Along with the name change, the company has hired Paul Brooks as CEO. Brooks is a former senior vice president of NASCAR and president of NASCAR media group. In 2016 he became an investor in DMR and serves as Chairman of the Board. The 2017 team update is now available as DLC for NASCAR Heat Evolution. Currently retailing for $9.99 on XBL & PSN, the DLC includes team & roster updates, 2017 paints schemes and schedule, and more. 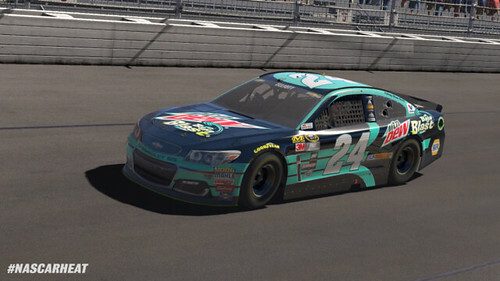 This is the final paint scheme update and no further updates will be coming for NASCAR Heat Evolution as the next iteration in the series is expected this fall. NASCAR Heat Evolution continues to increase the amount of free and premium DLC available for the title throughout October. This month (10/18) the title will offer new spotter audio, challenge pack, and three paint schemes for purchase. A free 2016 Sprint Cup paint scheme as well as free Toyota paint scheme and challenge packs will also be available. A third game update is now available for NASCAR Heat Evolution. The update addresses gameplay, online play, tracks, and more. One of the more noteworthy additions is a screen adjustment feature which will allow users to see all in-game text and menu/controls, something not available until now. Polygon's Owen Good was able to recently go hands-on with NASCAR Heat Evolution. One of the most noteworthy areas of focus by Good addressed improved CPU driver AI including adaptive AI. Computer controlled competitors will no longer race on rails but rather will adjust to the user's skill level. Due to the ESRB's rating standards, previous racing games were not allowed to include alcohol sponsorships on vehicles or they would lose the E (for Everyone) rating. However, NASCAR Heat Evolution will provide users the option to include them via free, age-gated DLC. NASCAR Heat Evolution's third developer diary provides additional insight into game modes. 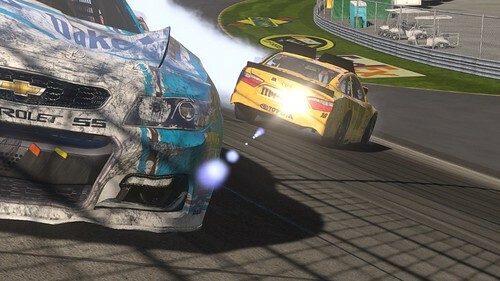 The most notable feature mentioned is the ability for 40-user online races. Three lobby types are designed to help funnel users into an appropriate race: No Rules (Casual), Normal, and Hosted (host can select level of users who can join along with bevy of race settings). 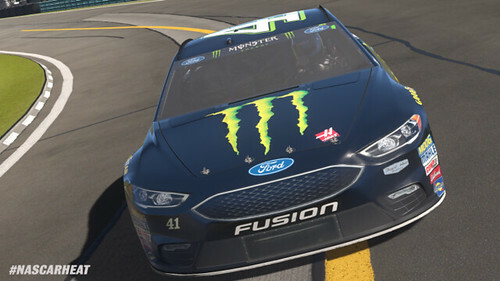 In their newest developer blog, Monster Games share some of their goals and focus for NASCAR Heat Evolution. 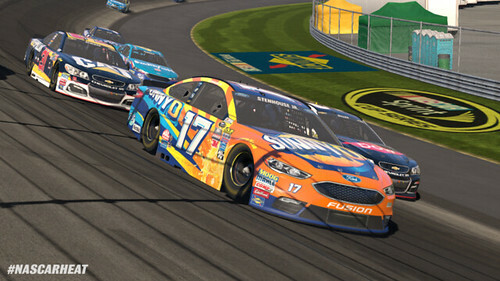 Featuring interviews with studio executives and designers, the goal for their return to NASCAR gaming is to deliver an authentic experience while also being able to bring in casual and experienced driving gamers. DM Racing & Monster Games have released the first official trailer for NASCAR Heat Evolution, the first full-fledged NASCAR title for PS4 & XB1. The trailer provides a quick look at the licensed tracks in the game, a fast scan through some of the selectable drivers & racing teams, the create-a-driver face options, car set-up settings, and some in-game racing including pit stops and crashes. 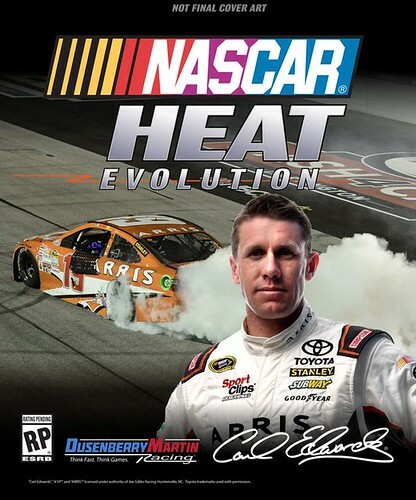 NASCAR Heat Evolution will release on September 13, 2016 and is currently available to pre-order for just $48 for Amazon Prime members. 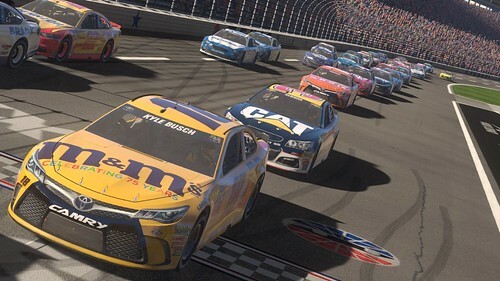 The title will hope to reach and satisfy a hungry NASCAR gaming fanbase as it faces a challenge in reaching more casual gamers in such a crowded release window. Late August through October features game releases for titles such as No Man's Sky, Madden NFL 17, NBA 2K17, FIFA 17, WWE 2K17, and Battlefield 1, among others. Such a populated release window is believed to be one of the reasons NBA LIVE 17 has been moved to an early 2017 release instead of staying in late September/early October. Today in a special event from Texas Motor Speedway, DM Racing announced NASCAR '15 coming to PlayStation 3, X-Box 360, and PC on May 22. GameStop is the exclusive retail home for the game which will also be available digitally on PSN, XBL, and Steam. The game will retail for $19.99. The game is more of an updated NASCAR '14 with the new 2015 NASCAR Sprint Cup Series paint schemes than it is a new game. 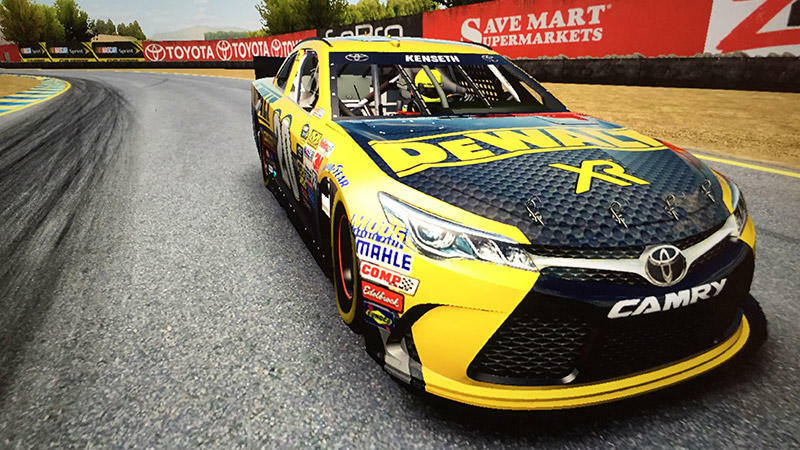 DM Racing is also working on a 2016 NASCAR title (presumably NASCAR '16) for PS4, XB1, and PC.